Turn the wind into free electricity! Whether you're looking to fully power a hunting shack or to supplement energy to your house, the Nature Power® Wind Turbine will start providing power with wind speeds as little as 7 mph. It's capable of producing 38 kilowatt-hours/month with 12 mph wind average. 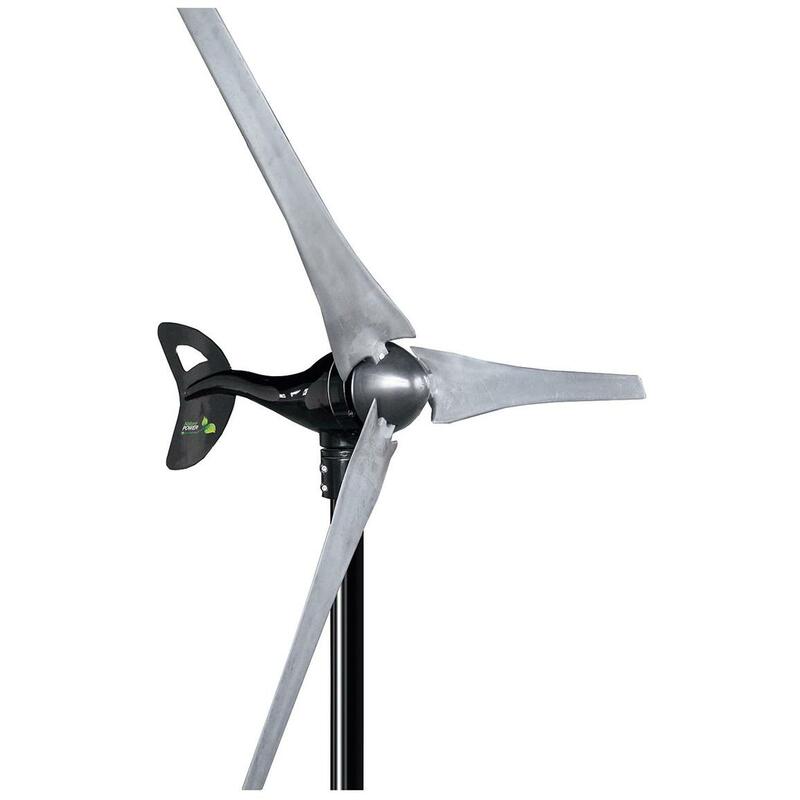 The large blades are constructed of 46" carbon fiber composite for strength and durability combined with the magnetic generator create the power necessary to power your life. The body is made from sturdy cast-aluminum with a powder-coated finish to make it corrosion resistant. 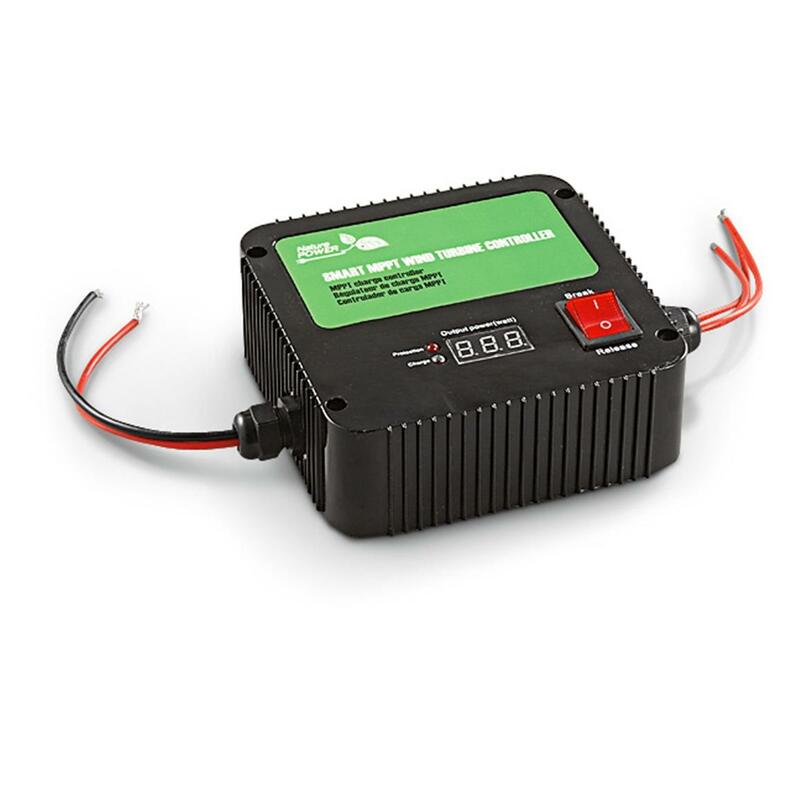 This is a complete kit for generating energy…including the regulator with overcharge, circuit breaker, high-wind protection, and output power read-out. Plus, it's quiet, easy to install, and it just keeps on giving. Body is 26.5"l., weighs 12.3 lbs. Harness the power of the wind and order today! Weight: 12 lbs., 5 oz. Nature Power Home Wind Turbine, 12 Volt, 400 Watt is rated 3.1 out of 5 by 12. Rated 1 out of 5 by Kasey from Very Disappointed Bought this NEMO 400 WATT Wind Turbine about a year or so ago and finally got it mounted in North Texas. Spent $$$ on 35ft mounting pole, quickcrete, auger, brackets etc. to set this up to power some DC projects in my barn. Very windy in N. Tx, but you would not know it with this generator. It just sits there. It is mounted straight and high enough as per instructions and we had a high wind event this past week and it barely turned. Not enough to register it was working or light up the regulator that it was charging. I WANT TO SEND THIS BACK!!! Not sure I can since I waited so long prepping to set it up. Totally useless for what I needed. 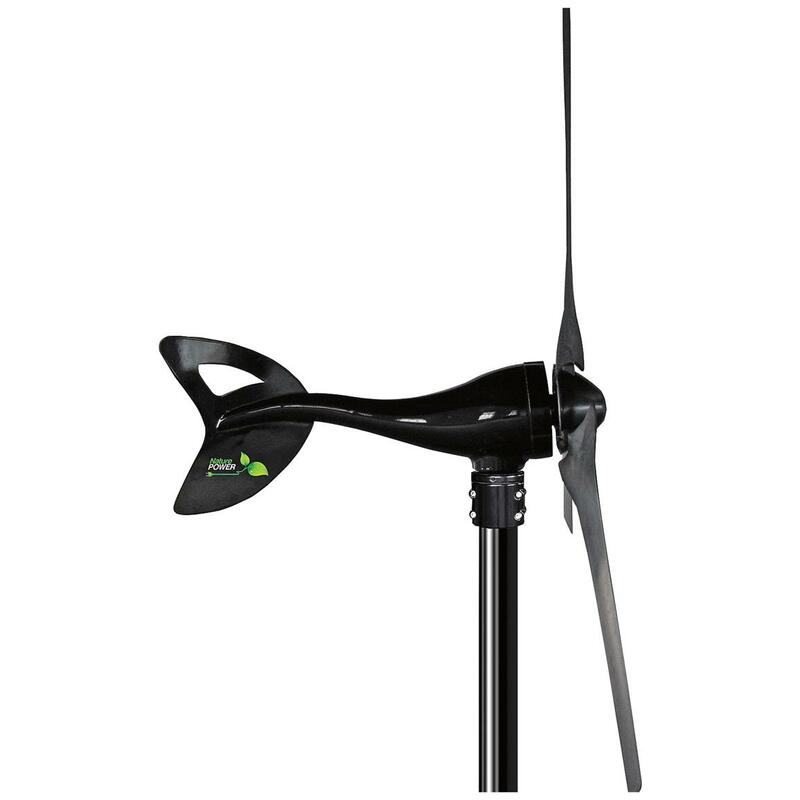 Rated 5 out of 5 by BrdrCopRet from Great wind turbine Works great on my 24V system. Great at night and when over cast and Solar not running on full power, and when there is wind to see power being sent to batteries. Have had unit up and running in Wht Mtns of AZ. Rated 2 out of 5 by Gary from Price is good only if it worked. Information states it requires a 7 knot start up speed but does not turn under twice that speed. returning product. Rated 2 out of 5 by ALBERT from I haven't had a chance to assemble and use it yet, but was disappointed to see that it was made in China and had poorly made blades, which will affect the performance as I've learned from past wind generators. Rated 5 out of 5 by ROY from I like my generator, now all I need is some steady wind. Thank you for your low prices, I checked around and you were on the average 50 to 100 dollars cheaper than anyone else.